We offer highly secure Composite Front Doors and many other Exteriors Doors. They all use a solid timber core throughout the door leaf. This has far more benefits than over types of composite doors that use foam. 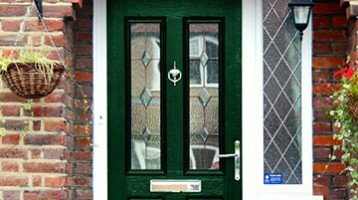 Cheam Composite Front Doors are a top quality product with high strength and maximum security. The main benefit of our doors is a solid 48mm thick core. This has much higher security compared to foam filled composite doors (also known as GRP doors). These doors also benefits from high thermal and sound proofing. The inside and outside skins of the Cheam Composite door feature an authentic grained surface that gives a look of natural timber. The solid core is made from weather resistant resin bonded laminated veneer lumber. This is thicker that other cheaper GRP composite doors and results in a door which is ultra strong and very secure. The internal core of the door is the most important component. Our doors have increased strength, excellent lateral stability and will not warp or twist. The super strong Cheam Composite door also includes a top quality locking system. 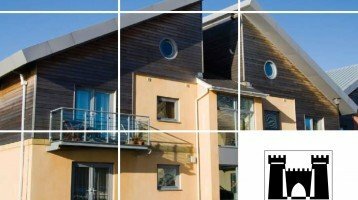 The hardware is accredited to Secured by Design PAS 23/24 standards. This is the current testing standard by Secured By Design. The locking system is a multi point arrangement with a strong centre dead bolt. They have extra hook bolts that lock securely into a 72mm thick PVCu steel reinforced frame. We use the highest security anti bump cylinders that further enhance the maximum security properties of our composite doors. They are also anti-snap, drill resistant, saw resistant and anti-pick. 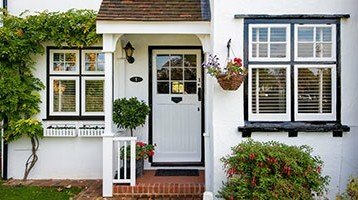 Do you live in a traditional house or a modern new build? 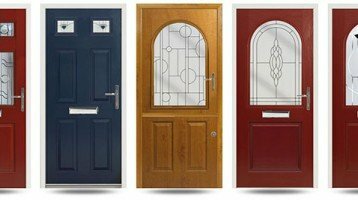 Our range of composite doors are available in many styles, colours and designs to match your property. The designs come in a wide range of door glass with many lead, backing glass and obscure patterns. 14 different shades are available from standard blacks and whites to grey, turquoise, greens, creams, and woodgrains. To meet the accessibility needs our doors are also available with low thresholds. They are made from highly durable aluminium .